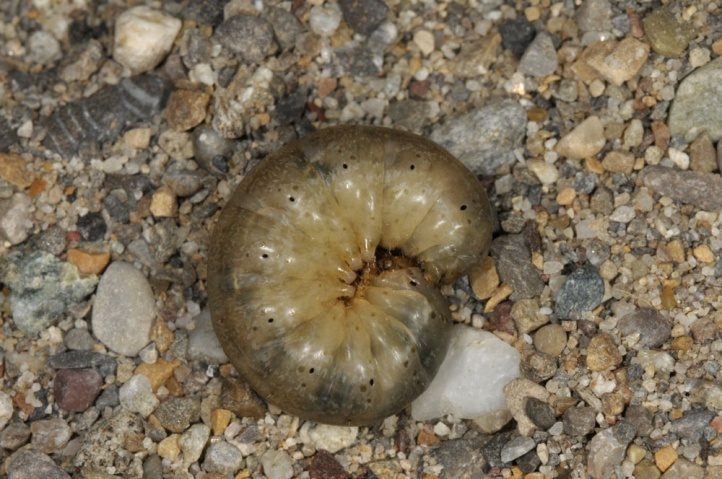 The caterpillar lives polyphagous on the scarce herbs of their habitat. 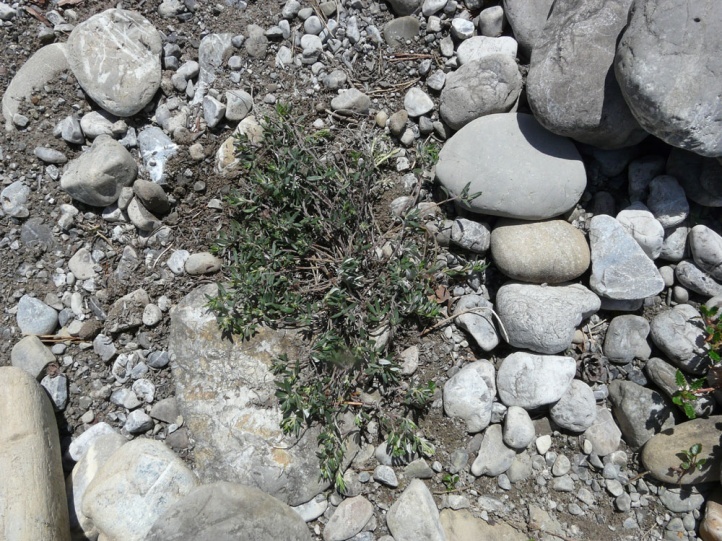 I observed several caterpillars on isolated growing Teucrium montanum-pads (at the river Lech near Forchach, Tyrol, May 2012). 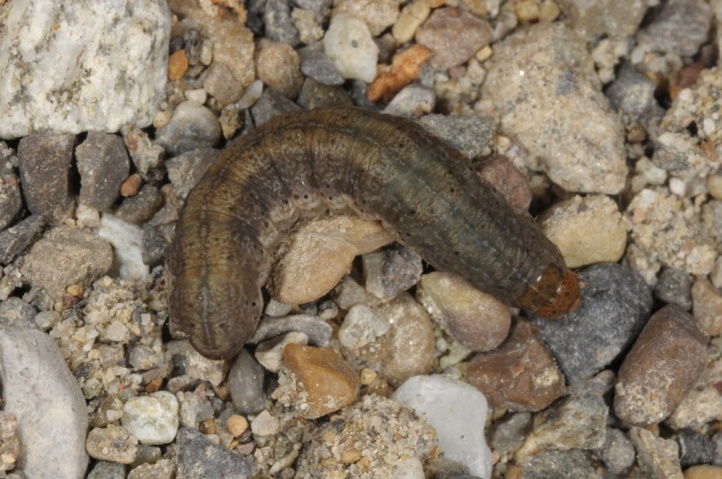 The caterpillars live hardly at the roots, but more on the ground level parts of the plants. 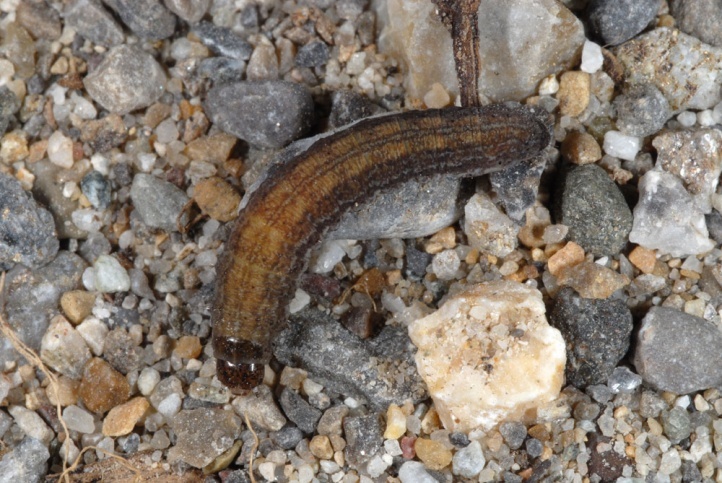 Euxoa birivia is mostly found in open gravel plains, embankments and similar locations in the relocation areas of natural rivers. 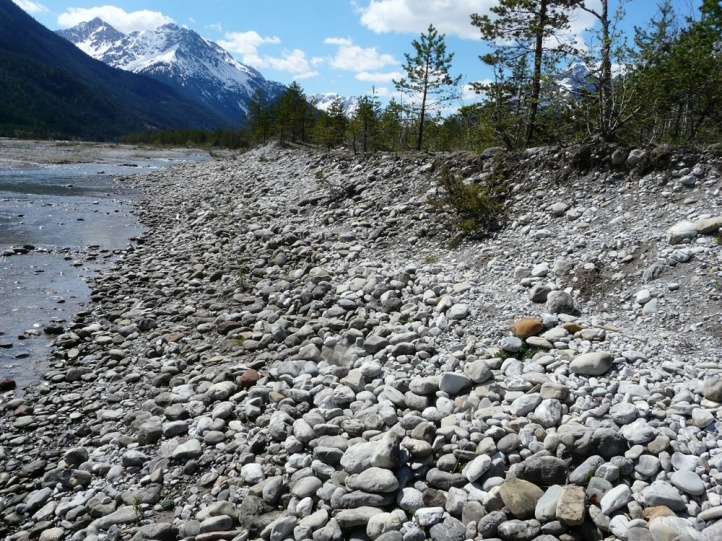 In addition, it also penetrates into rock, rubble and open soil rich slopes (in lower altitudes to about 1600m above sea level). 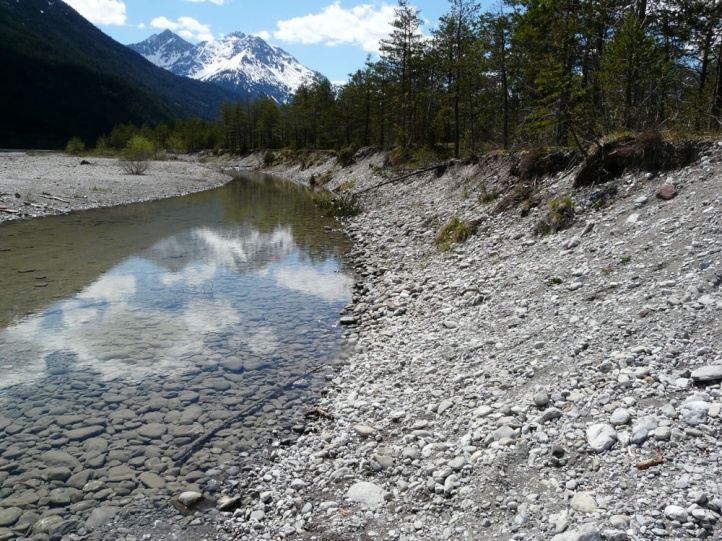 The most important criterion are apparently the soil conditions according to literature (open, fine-grained mixture of clay and sand). 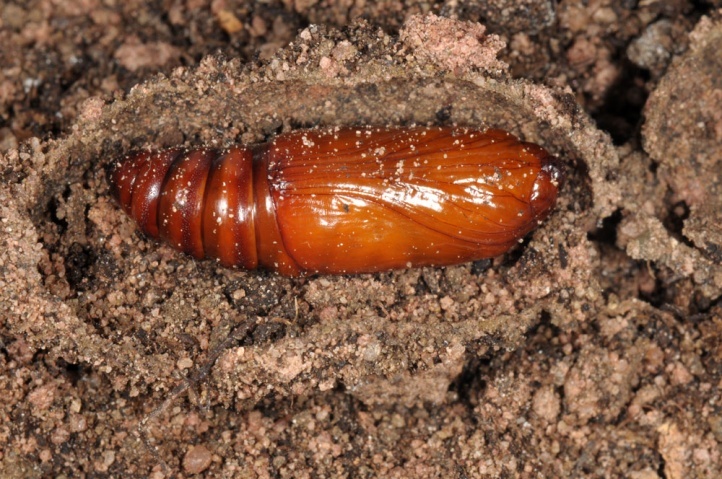 According to literature, the eggs hibernate. 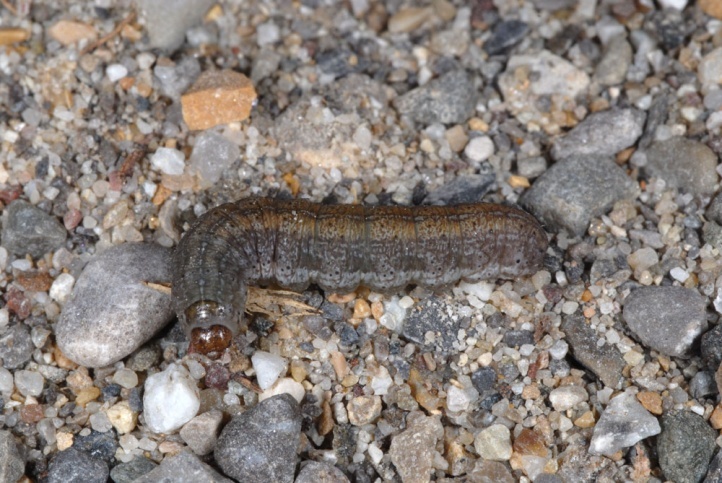 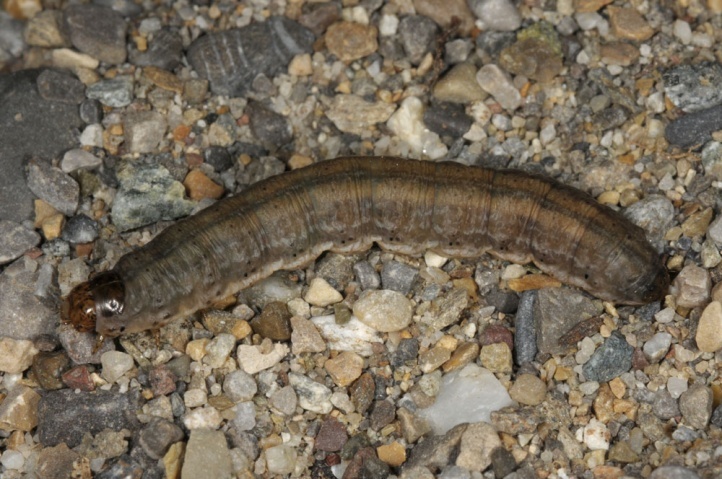 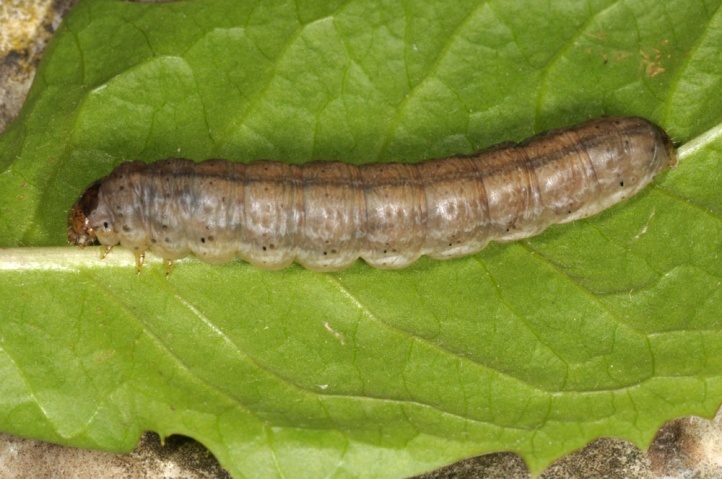 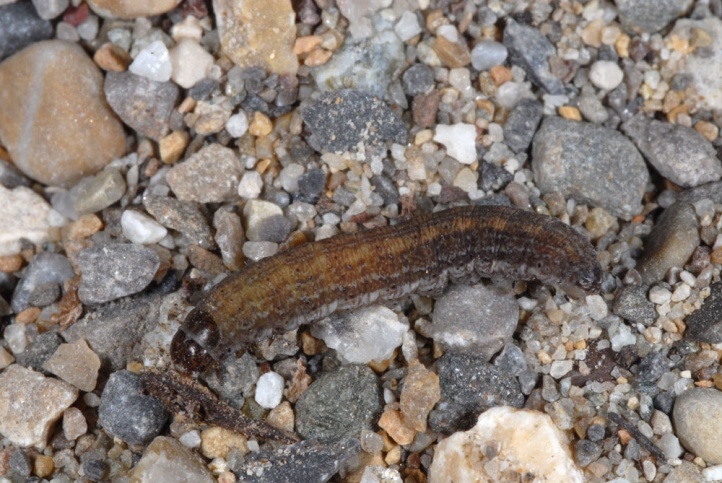 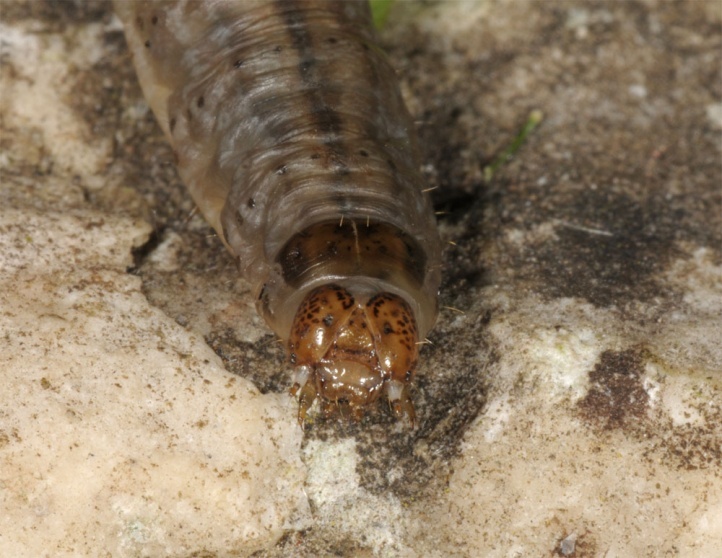 I observed still very young to half-grown larvae at the Lech in Tyrol at 04 May 2012. 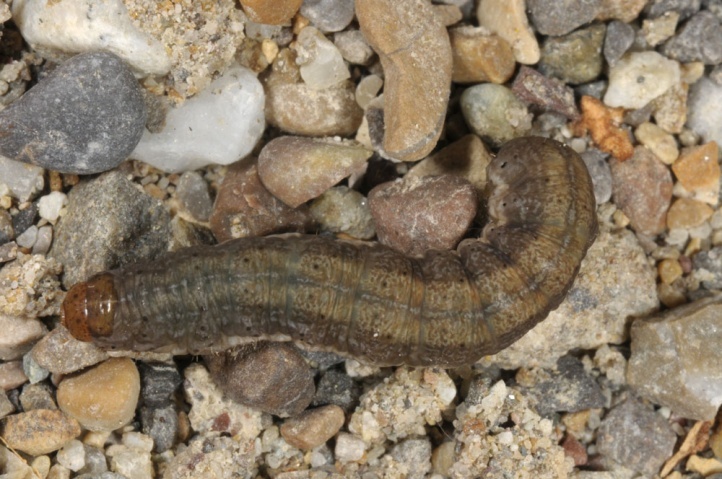 The caterpillars were mature in the subsequent breeding in early or mid-June. 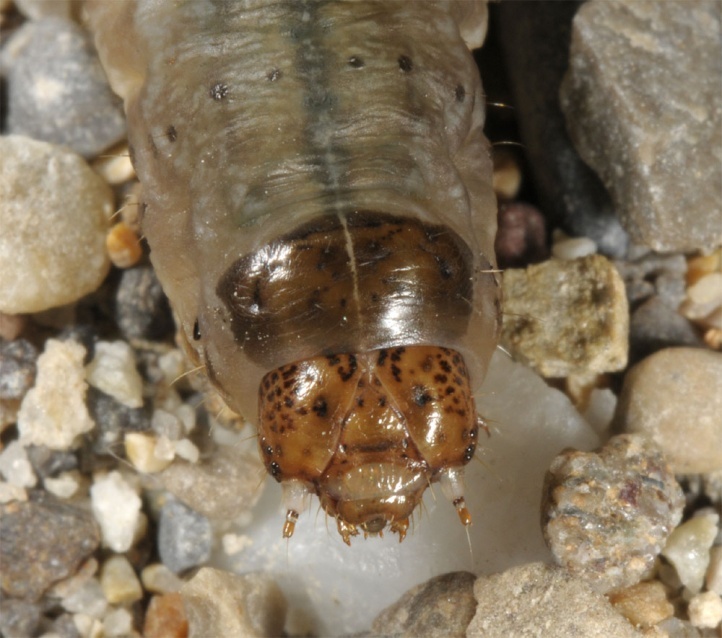 They dig apparently only in later instars during the day more superficially into the sand. 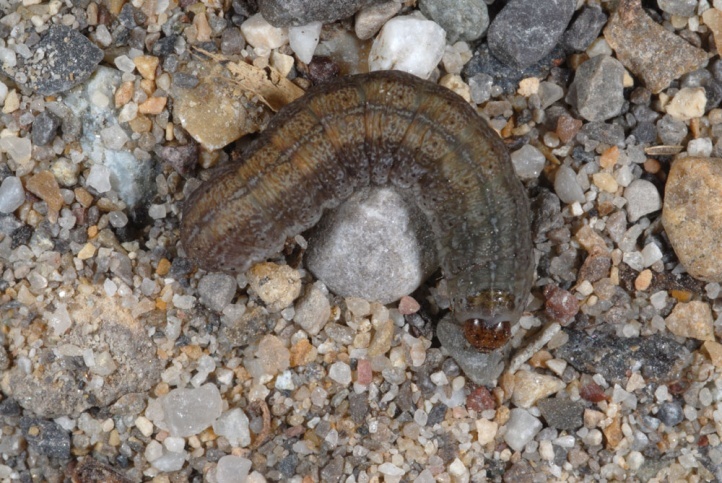 The young caterpillars preferred to rest at the base of the plants or in the pads/clumps. 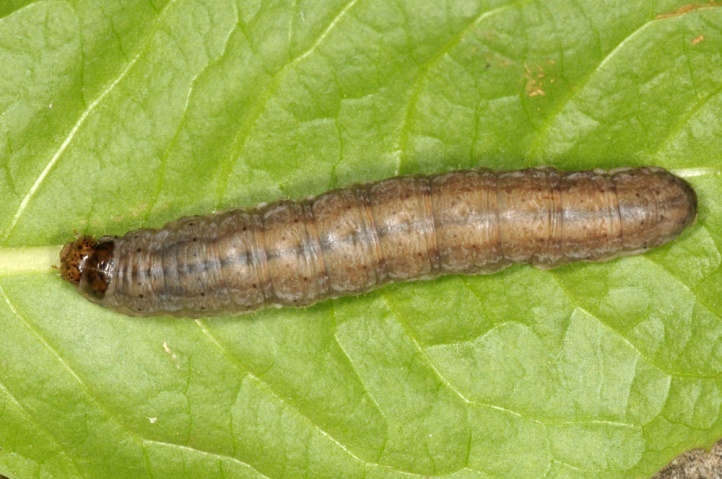 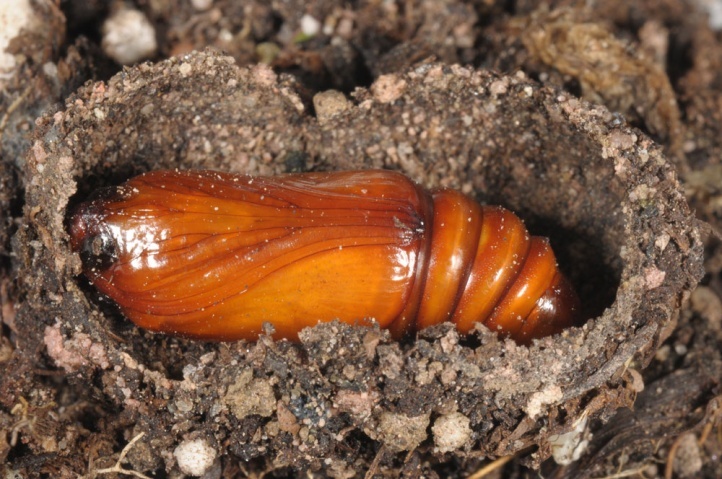 In the filed, pupation should take place from mid-June to early/mid-July. 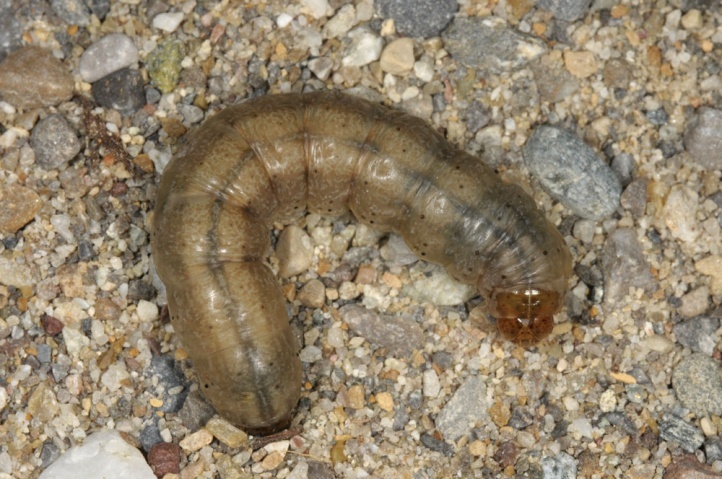 A rest period before pupation was not observed. 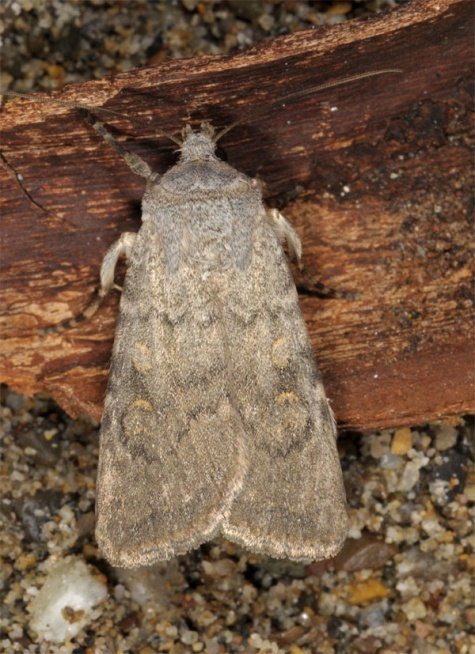 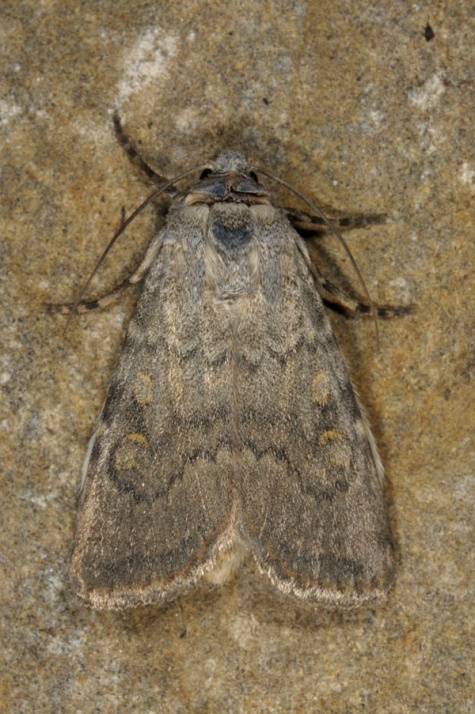 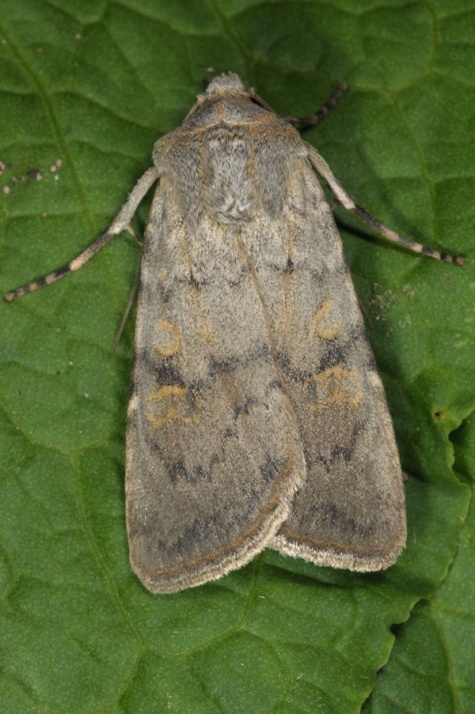 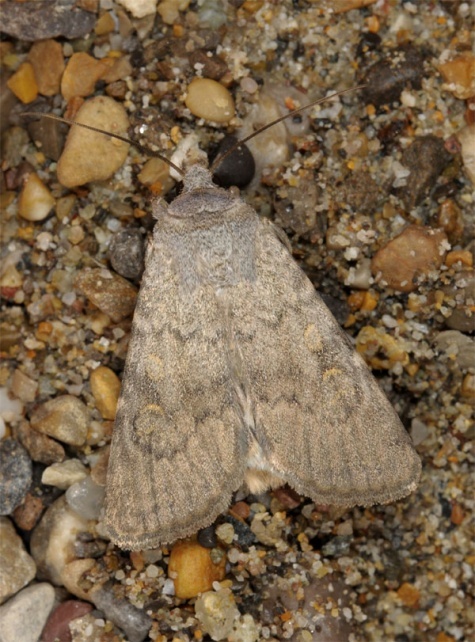 The moths fly from late June to early September. 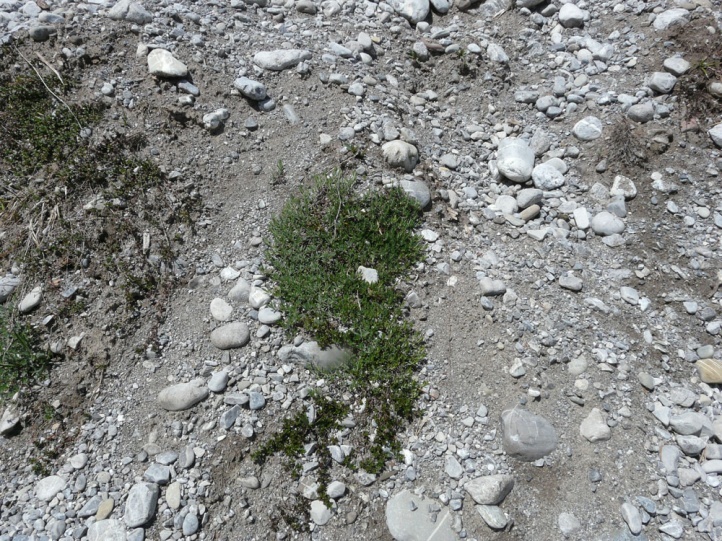 Euxoa birivia is significantly endangered as gravel plains along rivers in the Alpine region have become rare (hydropower, dams, canalization, etc.). 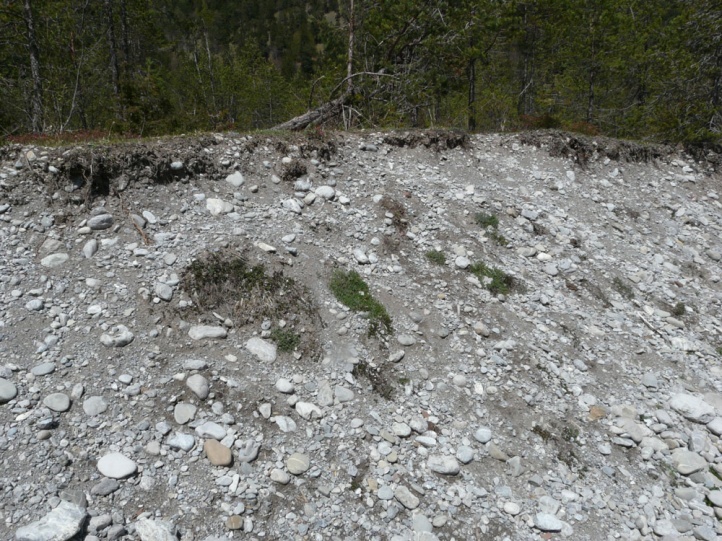 To what extent other habitat types such as those mentioned on hillsides offer an alternative possibility, should be explored in more detail. 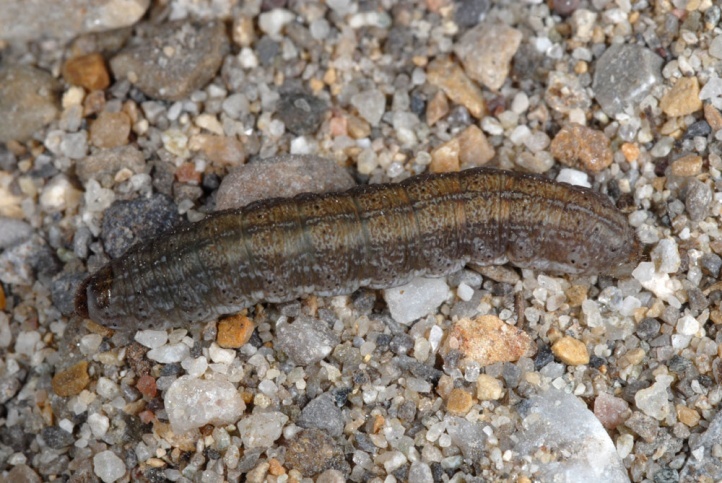 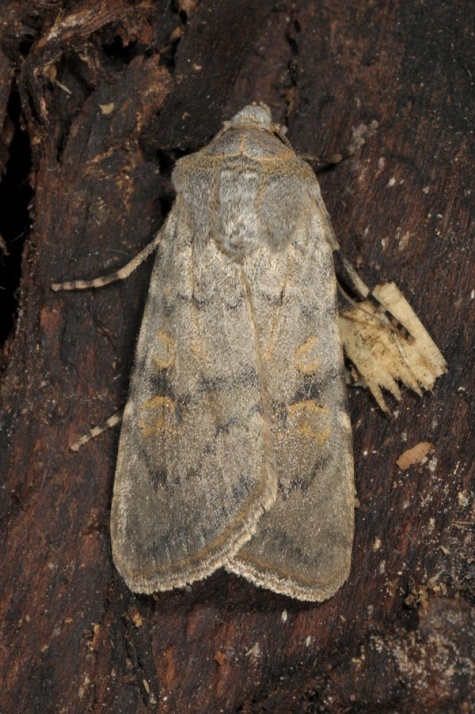 Euxoa birivia occurs in Central Europe in the Alps and their foothills. 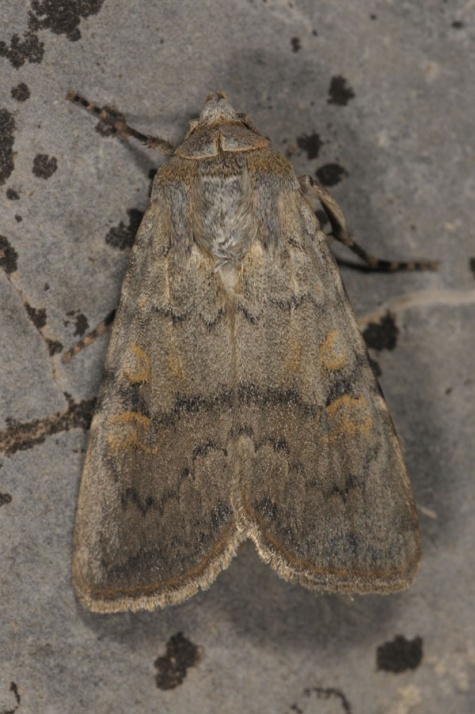 In addition, they also colonized the Balkans, the Carpathian mountains, the Crimean Mountains and parts of Asia Minor and the Middle East to Central Asia.